For my first 10 years in law practice, I worked at the largest law firm in the Northwest, training and working with some of the most accomplished attorneys in the bankruptcy and litigation fields. For the last 12 years I have put that strong background to use for my clients. I bring to my clients large law firm experience, while being highly accessible and attentive to personal service. I have also been trained as a mediator, and a portion of my practice is devoted to assisting parties as a neutral mediator. I serve on both the Official Registry of Mediators for the Oregon Bankruptcy Court and the panel of mediators for the Oregon Court of Appeals. 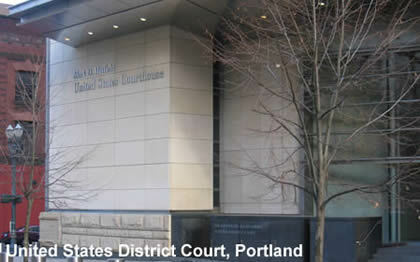 I have learned a great deal from years of professional connections with other attorneys, judges, and other professionals in the larger community or Portland. I have volunteered as a pro bono bankruptcy clinic attorney from 1997 to the present, and as a teacher to high school seniors concerning the challenges of debt. I have been active in many leadership positions in the Oregon State Bar, including, among other positions, being selected as a fellow in the Bar’s Leadership College, and serving as 2003 Chair of the Bar’s Debtor-Creditor Section, and current member of the Executive Committee of the Sole and Small Firm Section of the Bar, providing services to practitioners working on their own or in small firm. In 2010 I was elected to the Oregon State Bar House of Delegates. My 22 years of legal experience have helped me develop a variety of approaches and tools for problem-solving.